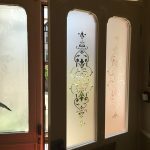 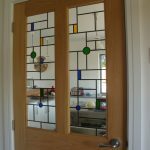 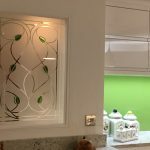 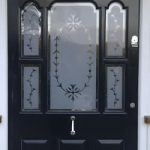 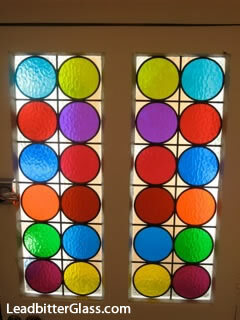 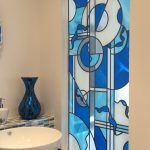 Mr & Mrs Lithgow from Oxfordshire spotted a photo of a very colourful stained glass circles door set that we added to our website recently and they contacted the studio saying that this was the perfect design for them. 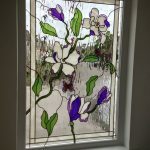 This photo was in the ‘Inspirations’ section of the website so it was of the projects that we didn’t originally manufacture but could if requested. 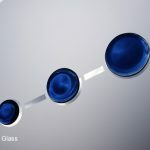 We sent out a full colour swatch to the clients so they could choose each individual circle colour themselves and we then added the colour choices to a CGI of their glass to agree on the final colour layout of the glass doors. 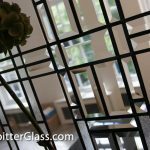 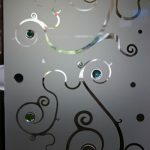 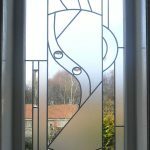 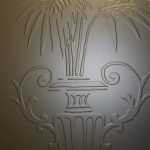 The lead option used was 6mm soldered and aged Option 4 and the glass used was 4mm toughened Minster glass.